Athens Alabama is in Limestone County. 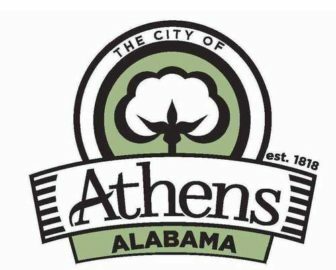 Founded in 1818 by John Coffee, Robert Beaty, John D. Carroll, and John Read, Athens is one of the oldest incorporated cities in the State of Alabama, having been incorporated one year prior to the state’s admittance to the Union in 1819. Limestone County was also created by an act of the Alabma Territorial Legislature in 1818. The town was first called Athenson, then the name was then shortened to Athens, after the ancient city in Greece. The town’s first mayor was Samuel Tanner, and the Tanner area, south of Athens, was named on his behalf. Located at 100 West Pryor Street, Athens houses memorabilia from the Revolutionary War to the present and is open daily Monday – Friday, 9:00 AM – 3:00 PM and Saturday 9:00 AM – 2:00 PM. Free admission, donation appreciated. Open Tuesday – Friday, 10:00 AM – 5:00 pm and Saturday 9:00 AM – 12:00 Noon. This was the home of the late two-time Alabama Governor George S. Houston. Contact 256-233-8770. Free admission, donations appreciated. The City of Athens has a professional and comprehensive website with plenty of resident and visitor information. Our website links page has additional links you may find interesting.